A perfect complement to the Wilderness foods, Blue Wild Bits treats are packed with more of the real salmon your dog loves. 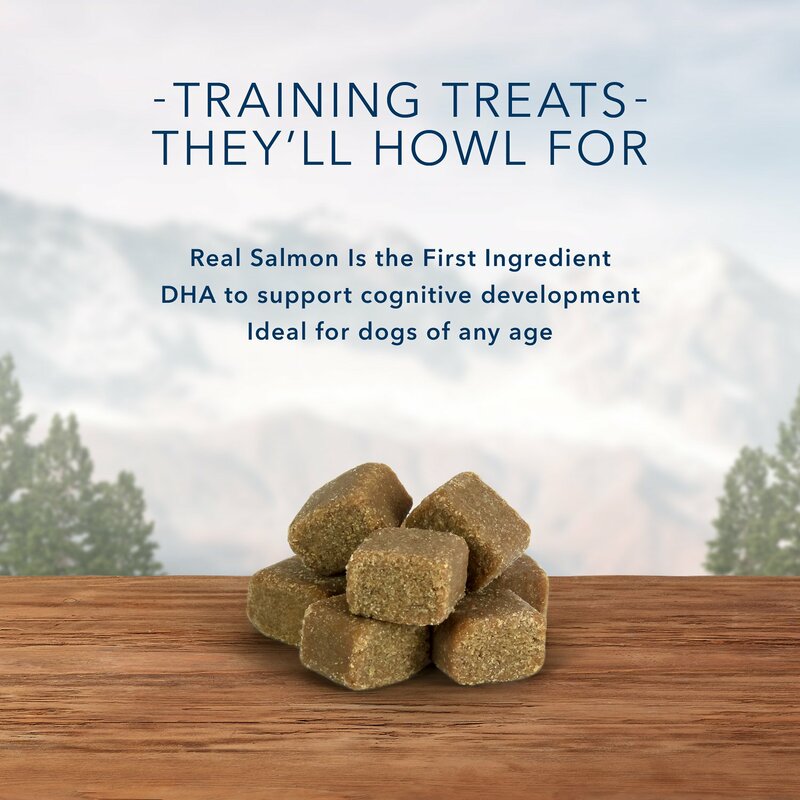 A healthy, nutritious treat that starts with real meat, these meaty Bits are the perfect way to reward your four-legged friends. 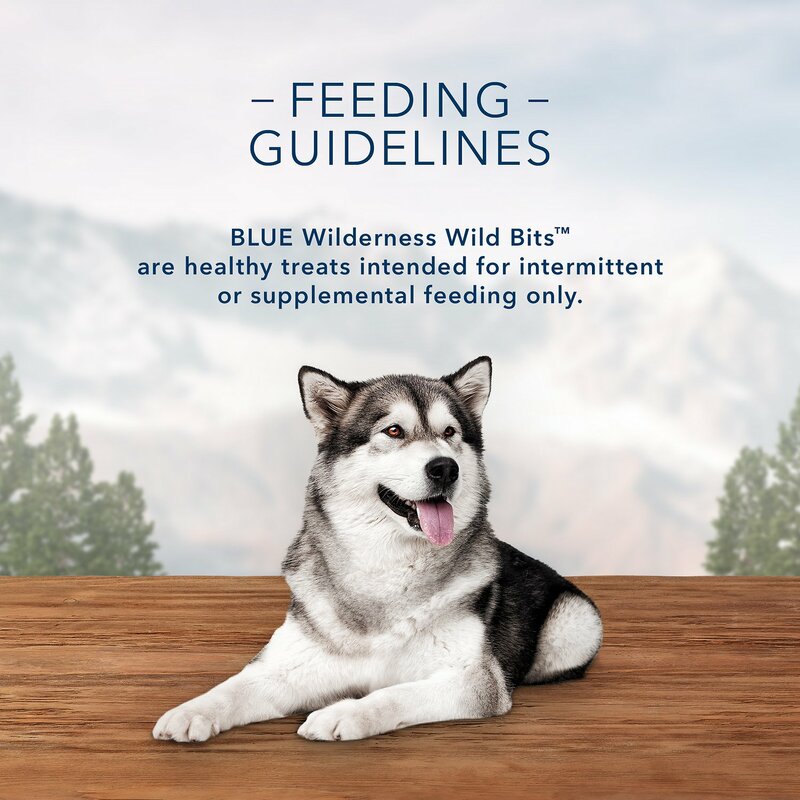 Nutritious and grain-free, Wild Bits contain only the finest natural ingredients and are loaded with healthy ingredients like salmon, DHA and omega fatty acids. I was looking for a tasty treat that was low fat to hide some pills in for my Yorkie with pancreatitis. 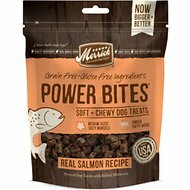 These snacks mold around the pills (with some effort) & my dogs loves them. I have 4 other small dogs in my house that also love these treats. Now I can let everyone have snacks when my Yorkie takes his pills and not feel guilty since they are a healthy choice, & and it's so much easier to get my Yorkie to take his pills (he actually looks forward to them). These are the best treats. Our poodles love them. 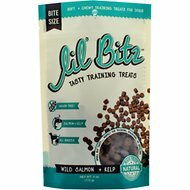 One of my poodles is 15 years old, and these treats are great for him. They are grain free and he has a very sensitive stomach. Snubbed, Walked Away and got a drink of Water! Moriah smelled it, walked away from it and got a drink of water and took a nap! Maybe she just doesn't like fish OR something could be done to improve the smell of it. More money wasted!! My puppy absolutely loves these. The only negative is that they're a little too big for training him so we usually split them in half while giving them to him. 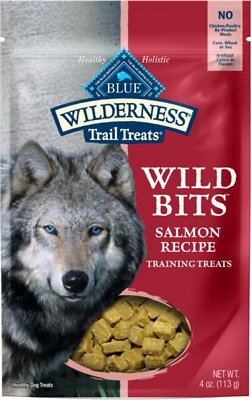 Blue Buffalo Wilderness Trail Salmon Grain-free Training treats are my dogs favorite! Was looking for small morsel treats to take along when walking two yellow labs. These are a good training aid and dogs love them! Nice little training treat size & definitely keep the attention of our shepherds. My baby has a sensitive stomach and I have been working with him on tricks and these are perfect for him! 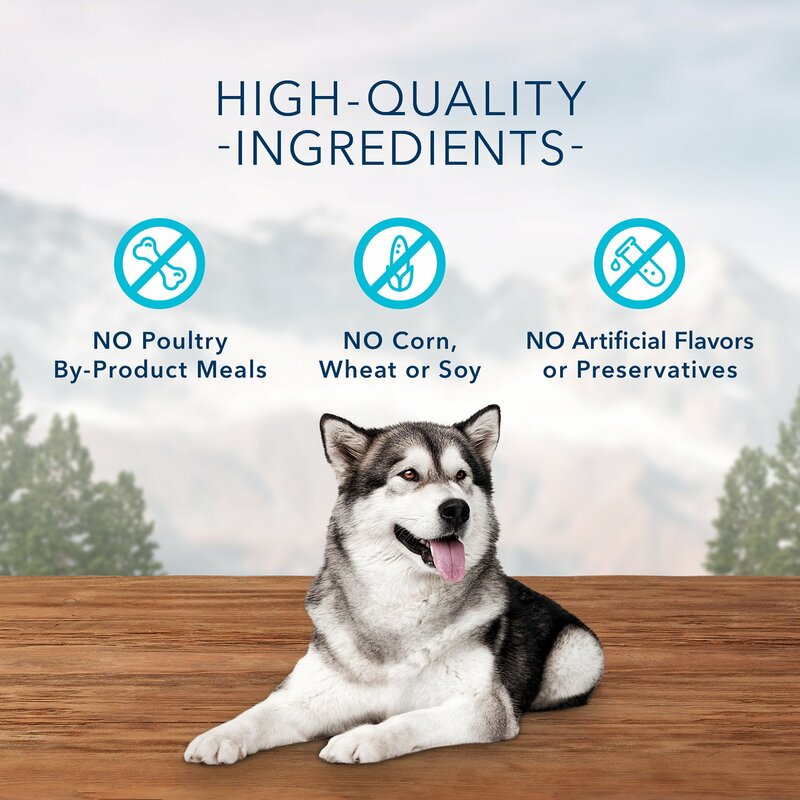 They really do smell like salmon and after the doggie eats them his breath smells like salmon, so i Have order chicken to try next! You can cut these yummy bits into even smaller pieces for training.